Poppies are one of the most popular wildflowers in America, according to the National Garden Bureau, which named 2003 the Year of the Poppy. These brightly colored flowers are often red, but may also be white, yellow, pink or blue. 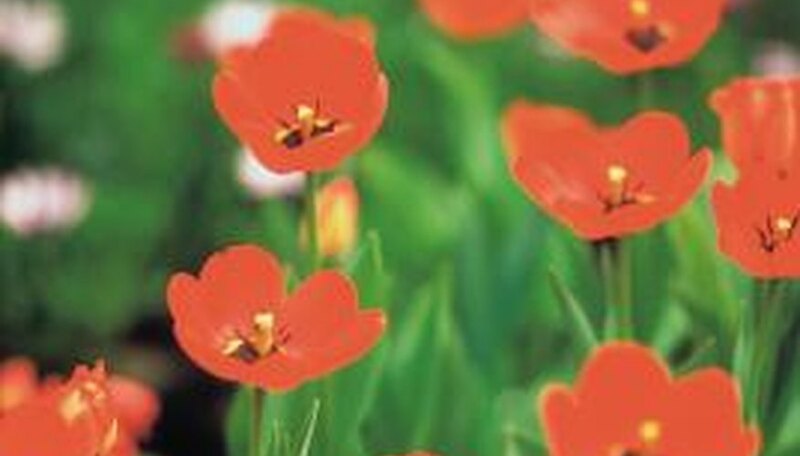 Poppies don’t tend to suffer from many diseases, but there are a few that can cause problems. Symptoms of downy mildew include the appearance of yellow blotches on the top of leaves and gray mold on the bottom of leaves. Downy mildews are apt to develop during cool, wet weather and it’s difficult to control. This fungus needs a film of water in order for its spores to germinate, so downy mildew is apt to develop on wet leaves. Spores are spread by splashing water and by wind. Prevent infections by keeping the humidity below 85 percent. Water plants early in the day, so leaves can dry before nightfall, and avoid overhead watering. Infected plants should be removed immediately. Preventative fungicides can be applied during cool, wet weather to reduce infections. Gray mold, or botrytis, causes browning on new petals and leaves, as well as on older petals. Sometimes, a thin grayish mass of threads can be seen. This is the mycelium, or the vegetative part of the fungus where the spores develop. Infected plants release clouds of spores into the air when they’re disturbed, or when the humidity rises. Wet plants are more apt to show up with gray mold than dry plants because the mold needs moisture in order to infect. This disease remains on dead plant material, so infected tissues should be burned or buried in a hole that’s at least 1 foot deep. Powdery mildew fungus can be identified by the white, powder that forms on the upper and lower surfaces of leaves, shoots and flowers. Unlike downy mildew, powdery mildew can germinate under dry conditions. Wet leaves actually kill the spores of this fungus and keep it from germinating. Powdery mildew fungi like temperatures between 60 and 80 degrees and shady conditions. To prevent infections, place flowers in full sun and don’t crowd plants. Avoid over fertilizing. Overhead watering can reduce the spread of this fungus because spores are washed off plants. Poppies develop brown, mushy roots that disintegrate, when they’ve been infected with rhizoctonia stem rot. In addition, the leaves wilt, become stunted, and turn yellow or pale green. In addition, the crown can rot, if the infection spreads up to the stem. This fungus lives in the soil and can be found in most non-fumigated soil. To prevent infection, only use new or sterilized pots and potting media, and avoid placing plants directly on the ground. Tomato spotted wilt virus infects many plants besides tomatoes. Leaves of infected poppies droop, turn bronze and develop small, dark spots. Dark streaking appears on the terminal stem and leaf tips die-back. Tomato spotted wilt virus is spread by small insects called thrips, especially when temperatures are warm. Once a thrip picks up the virus, it’s able to spread it for the rest of its life. Controlling this disease is difficult, and there is no cure. Remove infected plants as soon as you find them. Control thrips with the use of insecticides and use reflective mulches under plants to repel thrips and reduce infections.